The Basic Quilt is the 6th style that MQBM offers and it is for the budget minded person. Recycling never looked so beautiful! 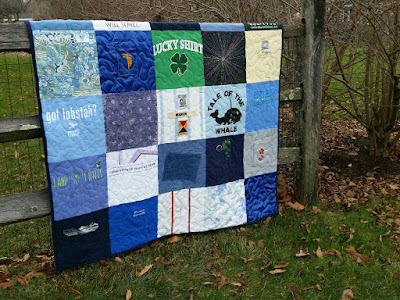 Add some lucky Irish shirts and you have a gorgeous handmade quilt that preserves your memories perfectly while staying on a budget!